The stationary burn treatment tub is offered as a complete system with a reclining lifter or lifting device. 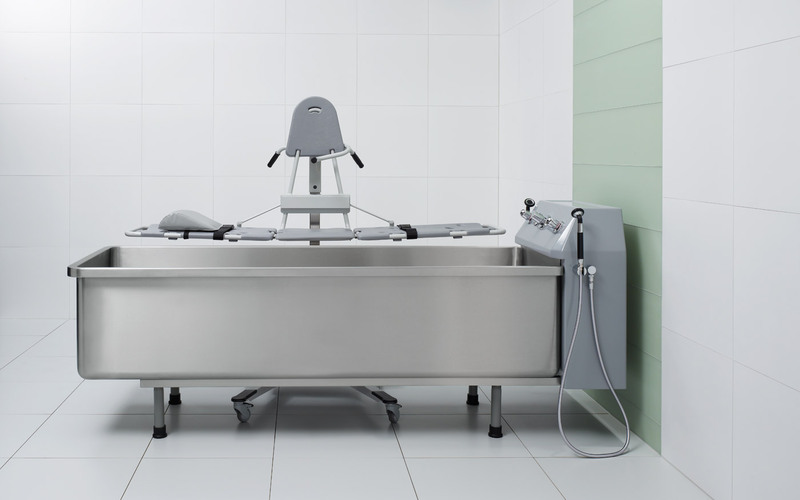 Its stationary tub is 85 cm wide and has an interior length of 240 cm, providing ample space for situations that can be challenging, such as treating head injuries or taking care of large patients. The burn treatment tub is equipped with a thermometer and an anti-scalding device. 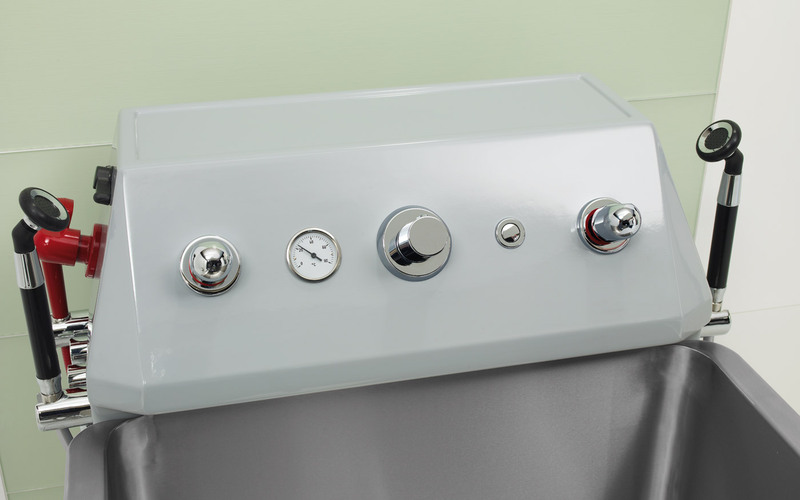 The tub has slightly rounded corners and is made of premium acid-resistant stainless steel, which increases the comfort and convenience of use and makes it easier to clean and disinfect, providing maximum hygienic safety. There is a shower head on both sides of the tub for effective wound treatment.